The company still isn't ready to release a consumer edition. 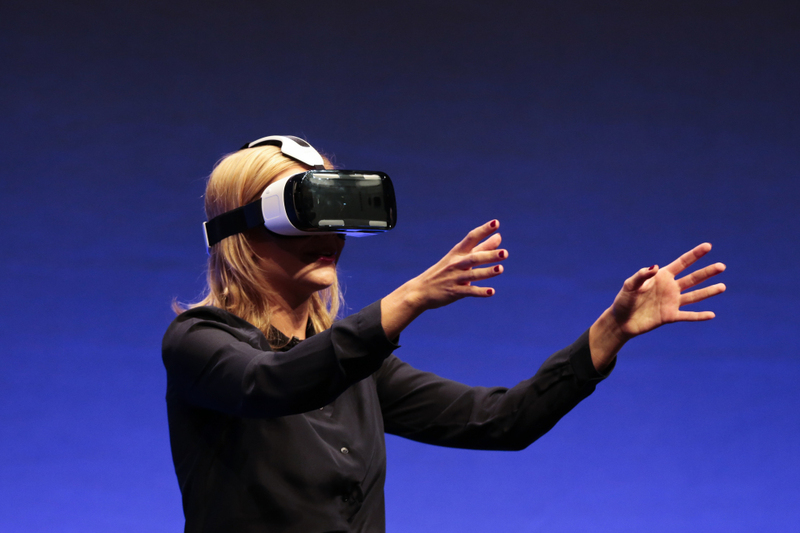 LOS ANGELES — Oculus has unveiled a new prototype of its virtual reality headset. However, the VR company still isn’t ready to release a consumer edition. The hew headset intended for creators of VR experiences is nicknamed Crescent Bay and features a higher resolution and refresh rate, integrated headphones and 360-degree head tracking. Oculus’ headset covers a user’s eyes and can create immersive worlds that react to head movement. The original prototype of the Oculus Rift headset was unveiled in 2012 and has received considerable attention from film and video game makers. Oculus released a second prototype headset to developers earlier this year. Iribe said 100,000 development kits have been shipped to 130 countries. The Irvine, California-based Oculus VR Inc. was acquired by Facebook earlier this year for $2 billion. Iribe said Oculus’ staff has doubled in the six months since the acquisition. “We’re really spiriting toward the consumer version,” he said. Oculus recently teamed up with Samsung to introduce Gear VR, a $200 headset with a slot for using the Galaxy Note 4 smartphone as a VR display. Iribe reiterated several times during his talk at the Oculus Connect conference that creating a sense of presence would be integral for the widespread adoption of VR technology, which continues to leave some users feeling queasy despite Oculus’ strides in creating lower latency and more realistic imagery inside the goggles. “You should believe you’re there and feel great, even if you’re super-sensitive like me,” Iribe said.